In advance of the Television Critics Association Winter Press Tour session tomorrow, Freeform announces the pickup to series of the reboot of fan-favorite “Party of Five” from the original creators, Amy Lippman and Chris Keyser. 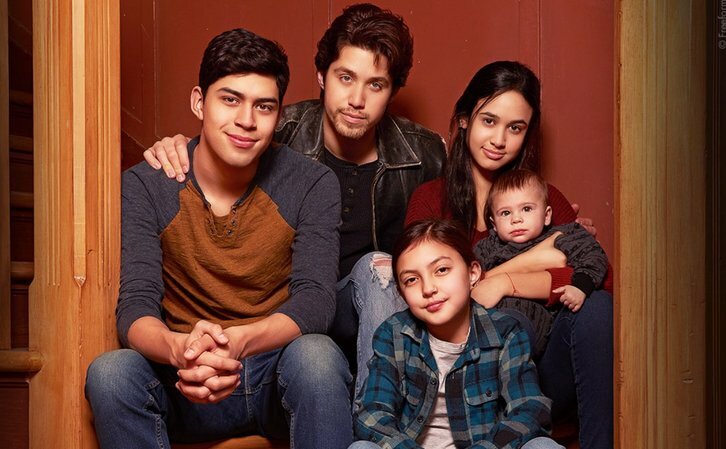 From Sony Pictures Television, the one-hour drama will follow the five Acosta children (fka Buendia) as they navigate daily life struggles to survive as a family unit after their parents are suddenly deported to Mexico. The series stars Brandon Larracuente as Emilio, Emily Tosta as Lucia, Niko Guardado as Beto and Elle Paris Legaspi as Valentina. The pilot was co-written by Lippman, Keyser and newcomer Michal Zebede. “We couldn’t be more excited to bring ‘Party of Five’ to another generation of fans. Amy, Chris and Michal’s distinct voice makes this series incredibly relatable and authentic. We are truly proud to be part of this journey,” said Jeff Frost, president, Sony Pictures Television and co-presidents Chris Parnell and Jason Clodfelter. “Party of Five” is created by Chris Keyser and Amy Lippman, who also serve as executive producers and writers. Rodrigo Garcia also serves as executive producer and directed the pilot. Michal Zebede serves as co-executive producer and writer. Individual photos of the cast and character descriptions can be found here on the pilot post. Party of Five is one of three hourlong pilots at Freeform, along with Motherland and Breckman Rodeo, all of which have been garnering solid buzz. Party of Five is the first of the bunch to score a series pickup.